Aqeel Anwar won the Best Student Paper Award at the 25th IEEE Conference on Mechatronics and Machine Vision in Practice (M2VIP), held November 20-22, 2018 in Stuttgart, Germany. 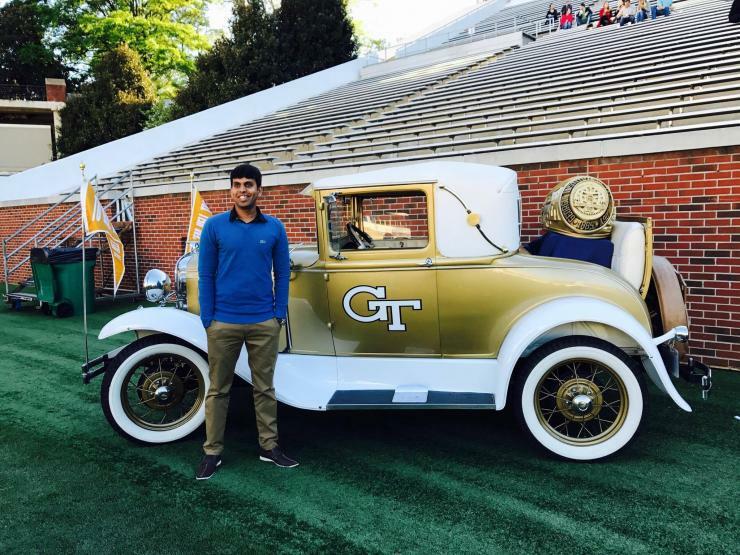 Anwar is a Ph.D. student in the Georgia Tech School of Electrical and Computer Engineering (ECE), where he is a member of the Integrated Circuits and Systems Research Lab (ICSRL). He is advised by Arijit Raychowdhury, an ECE associate professor and ON Semiconductor Junior Professor. 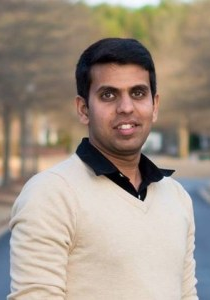 Anwar’s paper is titled “NAVREN-RL: Learning to Fly in Real Environment via End-To-End Deep Reinforcement Learning Using Monocular Images.” The paper focuses on the challenges posed by the implementation of reinforcement learning for the autonomous navigation of low cost drones with limited computational capability in real environments, without incurring any extra hardware cost. This work was supported by the SRC and DARPA-sponsored Center for Brain-inspired Computing Enabling Autonomous Intelligence. As a part of this project, Anwar and his colleagues in ICSRL are exploring hardware designs and architectures to enable ubiquitous intelligence from autonomous edge devices to the cloud.